Mason Jar Mild. Hills and Hollows. C'est Bon. Race horses? Nope — they're the names of some of the newest beers to join Vermont's craft-brewing scene. Burlington Beer Company opened last week in a Williston warehouse. Owner-brewer Joseph Lemnah is busy brewing those initial offerings on a 15-gallon pilot system, which he'll use until he gets the regulatory green light on his 15-barrel system later this month. 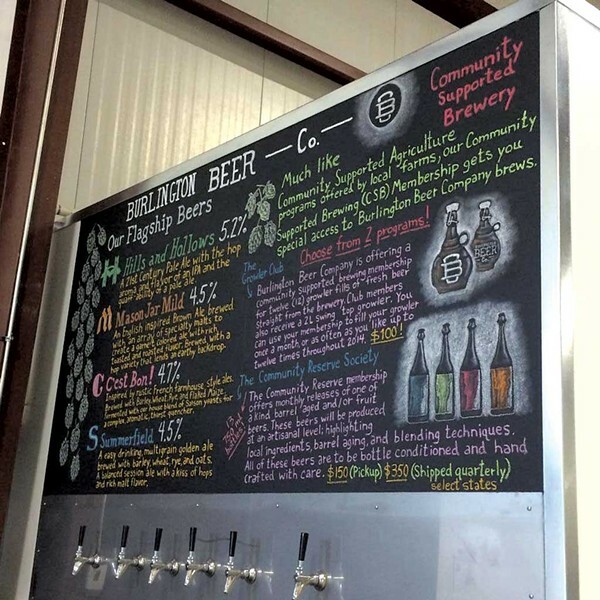 Visitors can sample Lemnah's opening lineup — which also includes a hefeweizen and a porter brewed with sour cherries — in the tasting room of his 4,700-square-foot brewery at 25 Omega Drive, suite 150. They won't be able to fill growlers, though, until the full system is up and running. Since Lemnah began scouting locations for his brewery in late 2012, he's been committed to rolling out "farmers-market-inspired beers" that draw on locally sourced fruit, herbs and other flavors, he says. In keeping with those principles, he's started a beer CSA. For a one-time fee, members get first crack at new beers and special bottlings. 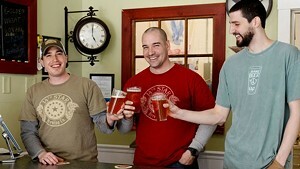 Check out our Bite Club blog later this week for more information and tasting notes on Burlington Beer Company's beers. The original print version of this article was headlined "Firing Up"